There are many people that sit and daydream every single day about what it would be like to live in Florida. It is easy to make this dream a reality, but just sitting there and daydreaming is not going to help. Florida is not called the Sunshine state for no reason. Before you pack your things and move, take a closer look at what local Florida residents are calling “The Best Places To Live In Florida.” Florida residents did not give up this information very easily. 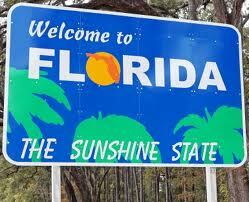 Truckrental.net has done some digging to help you find out which places in Florida are the best to call your new home. For many, Florida is a tropical paradise. It is like the island of the United States, but it is only surrounded by water on three sides. On the East Coast you have the warm waters of the Atlantic Ocean. On the West Coast you have the warm blue waters of The Gulf of Mexico. In the Florida Keys, you have both of them. Even if you live in the very middle of the state, a great beach is just a short drive away. This is just one of the reasons that over 19 million people call Florida home. This little tiny island of land is a true tropical paradise. It is small, but a lot of people are calling it home. There are over 12,000 people that live on just 1.4 square miles of land. Just a short drive from Miami and the Florida Keys, Key Biscayne is a tropical paradise. Yet another great little island paradise, but this one is located on the West Coast of Florida and is surrounded by the warm blue waters of The Gulf of Mexico. Long Boat Key takes up 17 square miles of land, and it has a population of just under 8000 people. That population is growing each day. Are you going to make the population grow even higher? Pinecrest is located a few miles south of Miami. The small area of 7.6 square miles consists of over 18,000 people. They are packed in pretty tight at over 2400 people per square mile. Pinecrest is not really a city. It is currently considered a suburban village. With Florida’s abundant coast line it is difficult to not find a hidden gem that is on the water. Sanibel is one of them. There are just over 6000 people that call the city of Sanibel home, and it takes up just over 33 square miles of land. It is not very crowded at almost 182 people per square mile. This small city is a paradise.